Albany, New York's state capital, is just an hour's drive south of Lake George on the Adirondack Northway (I-87) - and it's well worth the time! Albany is known for its rich culture and history, and is a popular destination for festivals, concerts, and special events. Following your short drive, you'll find plenty of restaurants, museums, and attractions in Albany, as well as in nearby Troy and Schenectady. 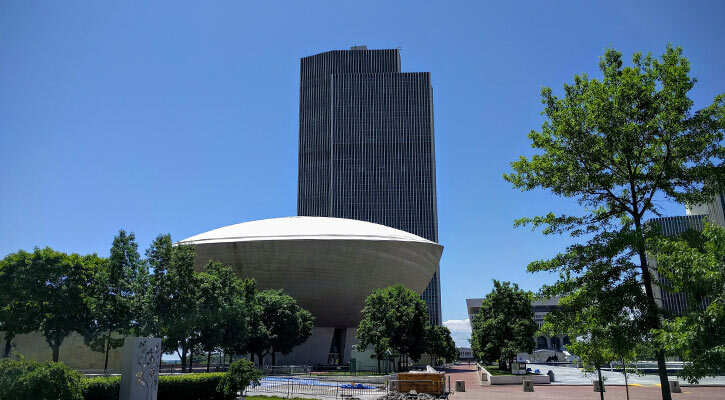 Visit the Nelson A. Rockefeller Empire State Plaza in the heart of downtown Albany for a vast array of experiences. The Empire State Plaza is home to The Egg, a uniquely shaped performing arts center (read more about the theater below), and The New York State Museum, which features a variety of ever-changing exhibits and collections. Head to The Corning Tower, open weekdays 7 am - 6 pm, to see the best view of Albany from the observation deck on the 42nd floor. Explore the plaza to find the dozens of modern art installations, as well as fountains and pools. Plan your day trip to coincide with one of the plaza's farmers markets or year round events to make your trip even more special! 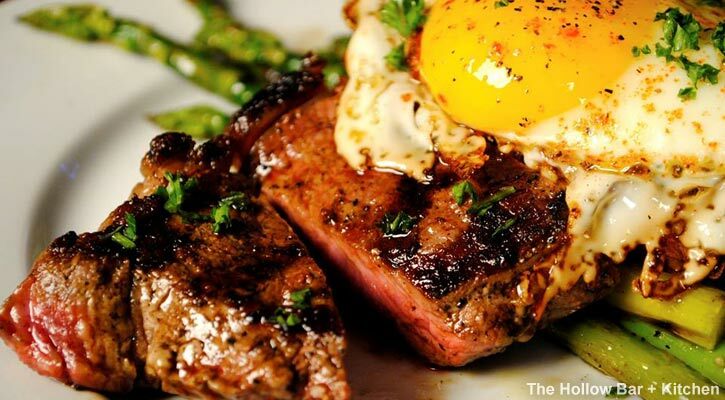 You won't be hungry during your time in Albany - there's plenty to eat and it's all delicious! You'll love Albany's exciting nightlife scene, as well as its vast and enticing array of restaurants. Dig into a mouthwatering meal and catch some live music at The Hollow Bar + Kitchen, enjoy casual dining with exquisite food at LAX on Lark Restaurant & Lounge, or feast on American classics while playing the hottest new arcade games at Dave & Buster's. Albany is full of even more great dining options, and so are the nearby cities of Schenectady and Troy. Take the short drive to Schenectady to experience delicious Italian cuisine at Cornell's Restaurant or head to Troy for one of their special events throughout the year, including Chowderfest and Troy Pig Out. Albany is a mecca for museums where you and your family will simultaneously learn something new and have a great time together! Have an outdoor adventure at the 3,200 acre Albany Pine Bush Preserve - open to the public year round - and then make your way to the one-of-a-kind interpretive center. 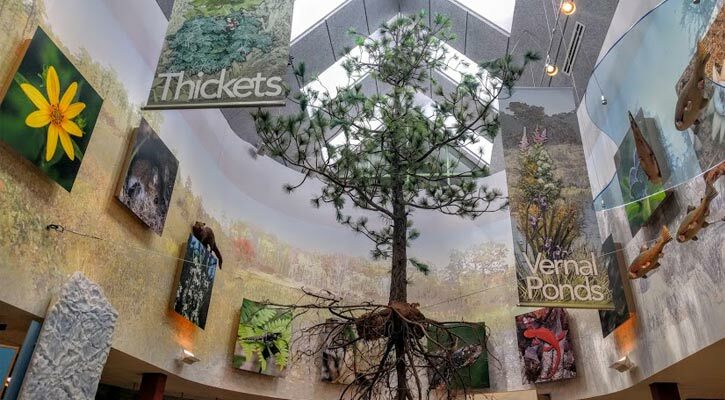 The Discovery Center at Albany Pine Bush Preserve offers interactive exhibits on the Pine Bush's geologic and cultural significance, the chance to examine plants and animals that call the preserve home, and more for free! Want to keep exploring museums? Head to miSci (Museum of Innovation and Science) in Schenectady for hands-on science and technology experiences or drive to the Children's Museum of Science & Technology in Troy to enhance your child's observation and analytical skills in a fun, stress-free environment. Looking for a theatrical or musical performance, but don't want to drive to New York City? Look no further! Albany and Schenectady both feature amazing performing arts day-trip locations that will more than provide you with great performances. Grab a seat at one of the two theaters inside The Egg in Empire State Plaza (read more about above) for a unique and intimate experience, where it feels as if you're touching the stage even from the back row. Experience a diverse selection of events including concerts, debates, lectures, films, and more at The Linda - WAMC's Performing Arts Studio. 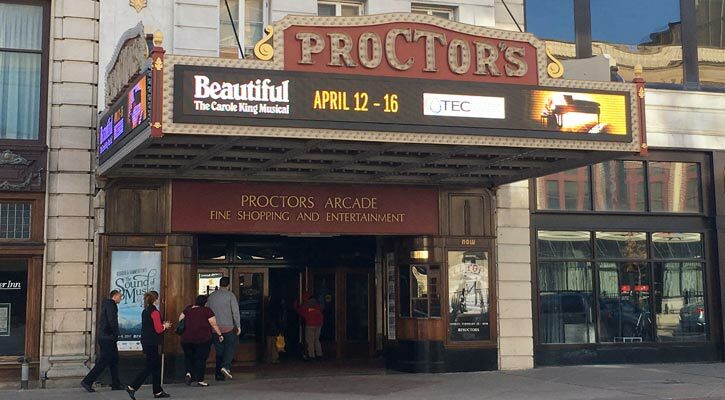 Adding to the region's thriving arts scene, Proctors in Schenectady hosts several touring Broadway musicals each year, as well as concerts, comedians, and dance ensembles. So plan your trip to the Capital Region for one of these amazing shows. 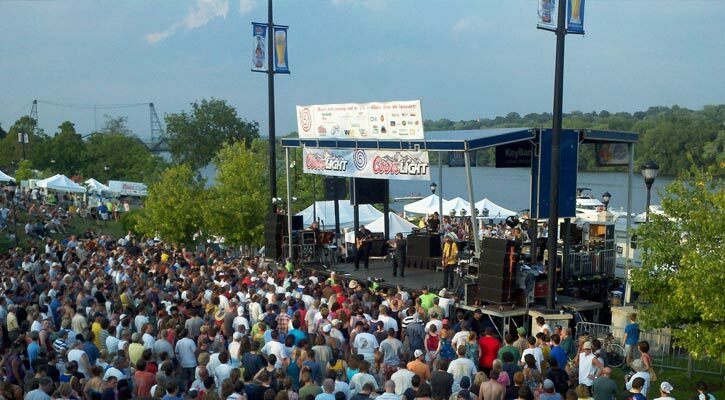 Catch some live music on your visit to the Albany area! Enjoy local performers as you grab a bite to eat at an Albany restaurant, purchase tickets for a show at one of Albany's theaters, or visit the region for an outdoor concert. Many big-name artists tour through Albany each year and you can see them live! Head to the Times Union Center or The Palace Theatre for a mindblowing performance by one of your favorite artists. If you are visiting in the summer, you'll want to stick around for one of the popular outdoor concert series. Break up your workweek with Troy's Rockin' on the River on Wednesday nights or spend your Thursday evenings soaking up the music and the sun at Albany's Alive at Five series. Albany is home to a vibrant visual arts community, and you can be a part of it! Create your own masterpiece at Canvas, Corks & Forks in both Schenectady and Troy where you can enjoy a glass of wine and a mac n' cheese bar while you paint with all your friends. 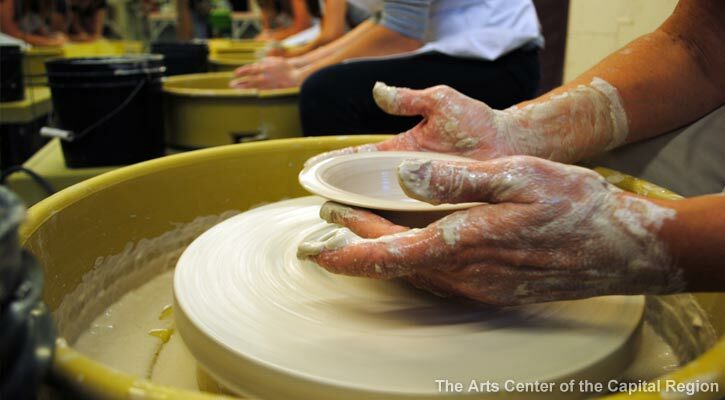 Stop by The Arts Center of the Capital Region in Troy for classes in jewelry making, stained glass, woodworking, writing, pottery, digital arts, dance, yoga and more! Make sure to visit The Arts Center's work-class art exhibits in their four galleries as well. Not only does the Capital Region have art classes, it also has galleries where you can view beautiful and intriguing pieces. Explore the Albany Center Gallery, a non-profit exhibition space featuring contemporary visual art from emerging and established regional artists for more art-filled fun. The Albany area has so many attractions that you'll want to come back day after day to fit them all in. Visiting in the summer? Catch a minor league baseball game! 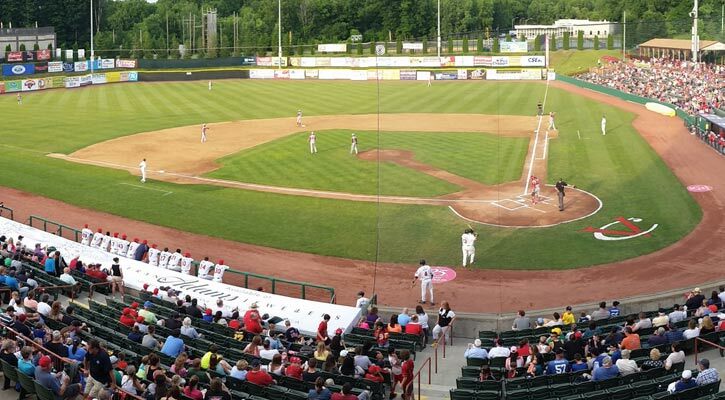 The Tri-City ValleyCats, a Class A affiliate of the MLB's Houston Astros, play their home games at Joseph L. Bruno Stadium in Troy. Another fantastic attraction to visit is the new Rivers Casino & Resort in Schenectady. With more than 1,100 slot machines, 70 table games, and 15 poker tables there's a gambling favorite for everyone to try. While you're there try one of their five on-site dining options or take a tip to their full-service spa. You can also see the Capital Region in a whole new way with Albany's Dutch Apple Cruises & Tours and travel down the scenic and historic Hudson River. For more information on things to do, events, hotspots, dining, lodging, and other highlights of Albany and the Capital Region, check out Albany.com.